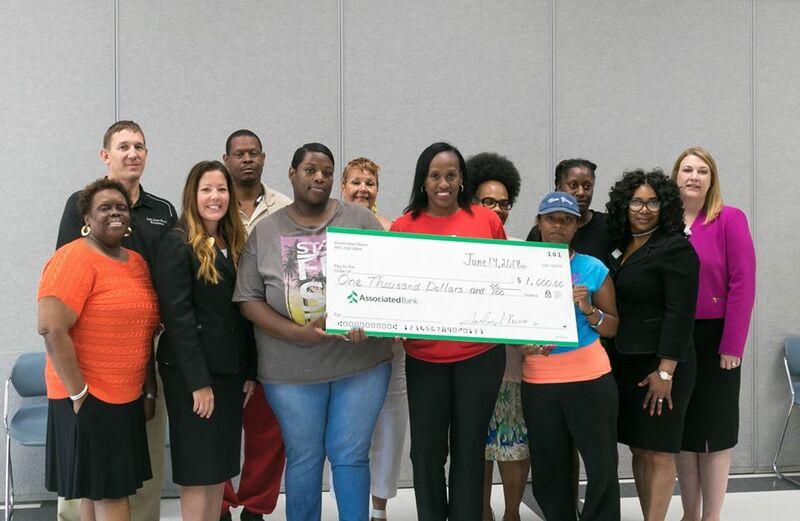 Associated Bank presents check to head start program graduates alongside Jackie Joyner-Kersee. Associated Bank in East St. Louis, Illinois, recently collaborated with the Jackie Joyner-Kersee Foundation to provide a 10-week financial literacy class for students of the Southern Illinois University Edwardsville Head Start Program at the Jackie Joyner-Kersee Head Start Center. After receiving an anonymous donation, Associated Bank provided graduates of the class with a $1,000 check — $300 for themselves and $700 for their child or grandchild — to start Bright Start savings accounts. Associated Bank colleagues plan to keep in touch with graduates by offering personal financial coaching and consultation as needed as well as monthly contacts to review how graduates are monitoring their accounts and making smart financial decisions. The mission of the Jackie Joyner-Kersee Foundation has long been to empower children and families to win in life. Part of that mission is also to empower them to succeed financially. This program is just one of the ways the Kersee Foundation is able to deliver on their mission, and they plan to continue the courses again this fall. The Jackie-Joyner Kersee Foundation - Jackie Joyner-Kersee is committed to ensuring that all children have access to high quality after-school programs, safe recreational places within their communities, and caring adults to help them achieve their dreams. Jackie launched the Jackie Joyner-Kersee Foundation in Los Angeles and moved it to East St. Louis in 1995. Inspired by the closing of her neighborhood community center, Jackie grew the Foundation by raising over $12 million to expand programming and built a comprehensive youth and sports.